Half of older Americans have no money set aside for retirement, according to new data from the U.S. Government Accountability Office (GAO). Specifically, 48 percent of households with a head of household age 55 or over were found to have no retirement savings, including 29 percent of older individuals that lack both personal savings and access to a traditional pension plan. 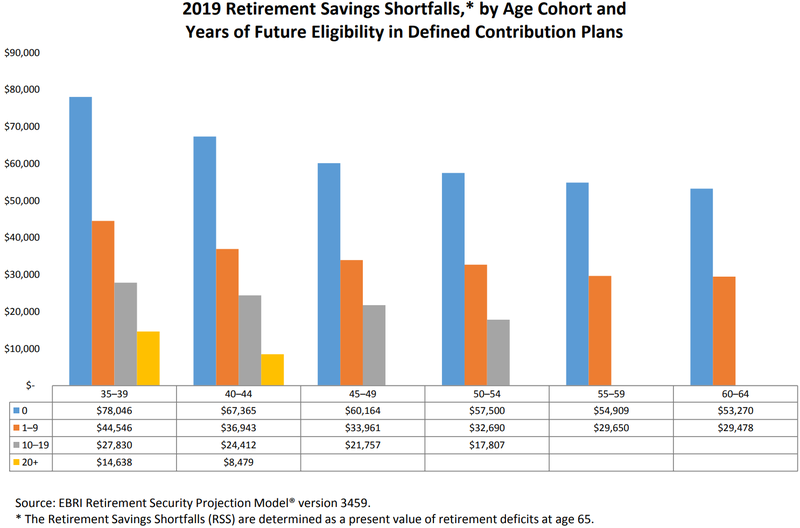 This data is part of an update to a much larger GAO report released in 2015 that found the median amount of retirement savings is about $104,000 for U.S. households ages 55-64 and $148,000 for households ages 65-74. Such nest eggs would be equivalent to an estimated inflation-protected retirement annuity of just $310 and $649 per month, respectively, not much of an addition to Social Security’s already paltry payout. Eligibility has fortunately increased thanks to a tightening labor market, but many Americans with access to a 401(k) plan too often fail to take full advantage of it. The rise of automatic enrollment has helped address this issue and some lawmakers have even suggested mandating the practice, not surprising given the success such an initiative has had in the United Kingdom. Indeed, a 2012 initiative generally required all private-sector employers to enroll most of their employees in a retirement savings plan automatically. According to a new Boston College study this policy has resulted in a retirement plan participation rate of around 90 percent for workers at medium and large employers and 70 percent at small employers. 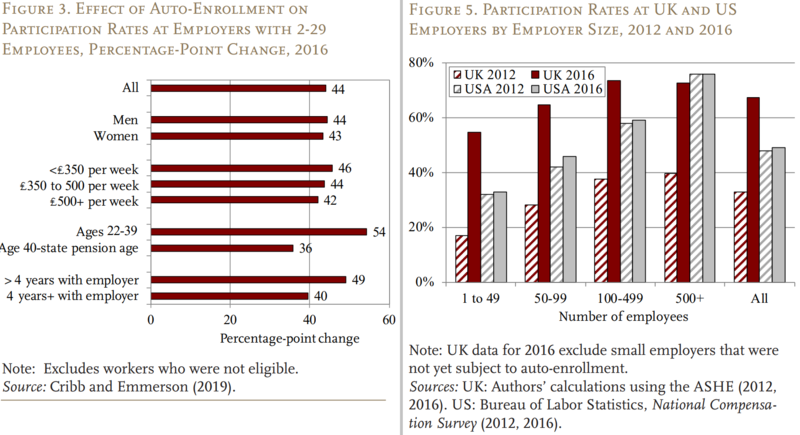 In fact, auto-enrollment increased participation for workers at the smallest employers by about 44 percentage points on average, and the share of employees contributing at higher rates has also risen significantly.